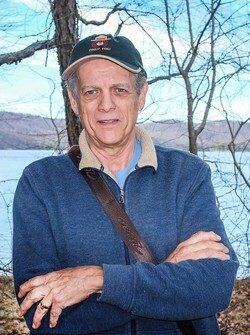 Doc Bayne will lead a hike at Iona Island, in the Hudson River below Bear Mountain. A major US Navy arsenal from 1900 to 1946, complete with explosions and, of course, the famous "Mothball Fleet" following World War II, Iona Island has a story that goes back to prehistory. Doc will cover evidence of Native American use of the island; the colonial farms and settlements when Iona was known as Salisbury Island and, later, Weygant's Island; and the 1800s, when it attracted tourists with an amusement park, hotel and picnic grounds. In 1965, the Palisades Interstate Park Commision took possession of Iona Island. Surrounded by marshes, the island has become a wildlife preserve and important habitat for many species, including Bald Eagles. * This Hike is scheduled to take place from 10 am to 2 pm. Be sure to wear sturdy shoes, bring water, and pack a lunch. Cancellation policy: Due to the overwhelming popularity of the Hikes through History, registration fees are non-refundable unless the program is canceled by the HSRC. Space is limited for safety. A waiting list will be compiled, and spaces that become available will be filled on a first come, first served basis. Only those who have made full payment can be accommodated.